Big & Bold. 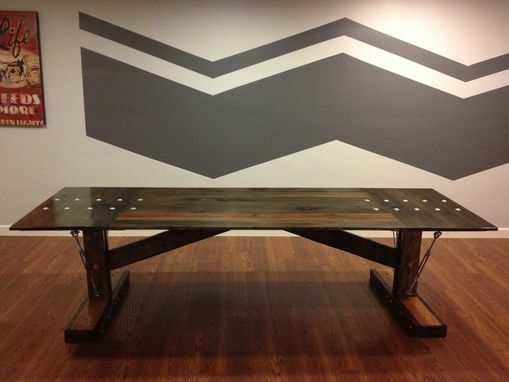 This table was made for a large dining space. Hardwood, industrial & rustic all in one. Carriage & lag bolts hold the hickory & pine together. Turnbuckles add the industrial touch as well as making the table strong & sturdy. This particular table is over 9 feet long. Customs sizes are always welcome.